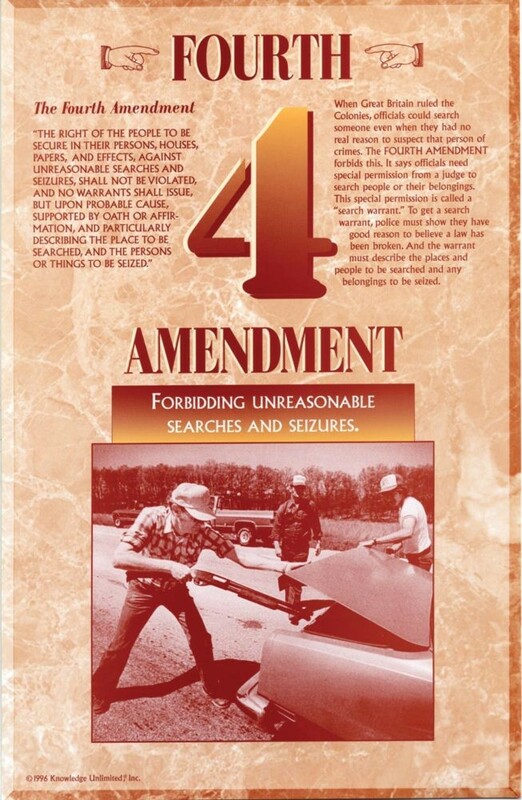 This educational poster features the text of the Fourth Amendment, as well as a clear explanation of the rights it protects. It also includes a photo that depicts a car being searched. The Fourth Amendment, which protects against unreasonable searches and seizures, is as relevant today as when it was written. 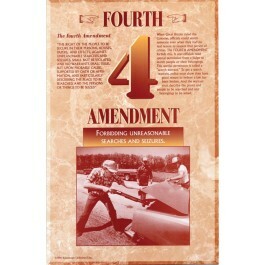 This poster is a great way to educate students about this amendment and the important rights it protects.